If you are new to the couponing world it can seem a little overwhelming at first, especially since couponing has its own lingo. You may see words like Catalina, eCoupon or WYB, but don’t fret, couponing doesn’t haven’t to be hard. It just takes some time to learn the basics. Part of learning to coupon is understanding the types of coupons and wording found on coupons. 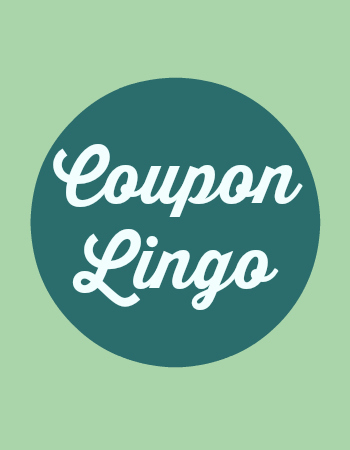 This coupon lingo list is a great place to start as well as to keep on hand when you have a coupon question down the road. These coupons can be printed directly from your computer. There is typically a limit of two coupons per computer (you can hit the back arrow on your browser to get the coupon to print again.) A company will limit how many prints can be made of a coupon, so printable coupons can come and go quickly. You cannot make copies of these coupons because each coupon that prints has its own individual code on it that traces back to your computer. Tearpads are pads, refund forms, or coupons that are found hanging from store shelves or displays. Take two and leave some for everyone else! Also, you don’t have to use them the same day or in the same store, unless it is a store specific coupon or refund. These are the abbreviations for the coupon inserts in the Sunday paper. The top of the cover page of each insert will be listed as RedPlum (RP), Proctor & Gamble (PG) or Smart Source (SS). When I list what coupons are available for an item, it will be formatted with one of those abbreviations and the date (ex. SS 1/25). So, SS 1/25 is the Smart Source coupon insert that was in the Sunday paper on January 25th. These coupons are found on the internet, but instead of printing these out, you upload them to a card or account. Some things to note: One, these coupons don’t double. Two, each store will have a different policy about whether these can or can not be used with a paper coupon. Three, you cannot choose not to use it in the store if you have a better paper coupon. Because of that, if you are in a store that will only allow either the eCoupon or the paper coupon, I like to add my eCoupons on to my list as the last step of my list making. Upromise and SavingStar eCoupons are different in that you can use them with a paper coupon. SavingStar works more like a rebate system and Upromise is a way to put money towards a college education for your children. You can watch a Youtube video I did a while ago to learn more about them. Mobile coupons offer you additional savings after you have purchased an item. They act like a rebate, and all you need is a smart phone. Some to mobile coupon apps choose from include Ibotta, Checkout 51, Snap By Groupon, Shopmium and BerryCart. First you will need to download the app onto your device. You can view all of the qualifying purchases and the rebate values. You will see mobile coupons in grocery store and drug store lists. After making your purchase, you follow the necessary steps (each app is different) to redeem your rebate. Rebates can come in the form of gift cards, check, PayPal money and other ways. Note: Target offers mobile coupons, but they are redeemed when you make a purchase and do not act as a rebate. These are coupons that are printed out from the register when you finish your purchase. They are printed on a separate piece of paper from your receipt and can be anything from money off a future purchase to a manufacturer’s coupon. Note: Walgreens’ Register Rewards are technically Catalina deals, which is why the store manager will sometimes tell you to contact the Catalina company if you are having trouble with a Register Reward printing. If you ever need to call the company directly, call 1-888-8COUPON. This acronym stands for “when you buy.” If you see $1 ECB wyb Folgers Coffee 22.6-33.9 oz, it means that you will receive an Extra Care Buck worth $1 when you buy Folgers Coffee in the listed sizes. Tip: when you see a coupon that says $1 off bread “when you buy” milk and eggs, remember that the coupon is just for bread. You can still use separate coupons on the milk and the eggs! All three stand for Buy One, Get One Free. This means different things at different stores. At some grocery stores, B1G1 actually means that you can buy just one item at 50% off. At other grocery stores and all drugstores, you must buy one at full price to get the other item for free. You may also see other variations, such as B4G1. The number after the letter “B” is how many you buy and the number after “G” is how many you get free. The manufacturer intended for each customer to only use one coupon per visit (or transaction). We also see coupons with limits per customer. For example, a Procter & Gamble coupon that limits 4 “like” (meaning same exact coupon) coupons per customer. Think of each item as a purchase. If you are buying 3 bottles of body wash at one time, that’s 5 purchases and you would be allowed to use 3 $1 off coupons if you had them. I will warn you, this is the most commonly questioned wording by a cashier. Each time the cashier totals your order, you’ve completed one transaction. To use 3 coupons for those 3 bottles of body wash, you’d have to go through the line 3 times. Some manufacturer’s coupons include wording like “redeemable at CVS.” Sometimes it might have a store logo on the front. However, since these are manufacturer’s coupons and not store coupons, they can be redeemed at any store. If you spot the word “only at” on a manufacturer coupon, then these coupons should be used only at the store whose name is printed on the coupon.